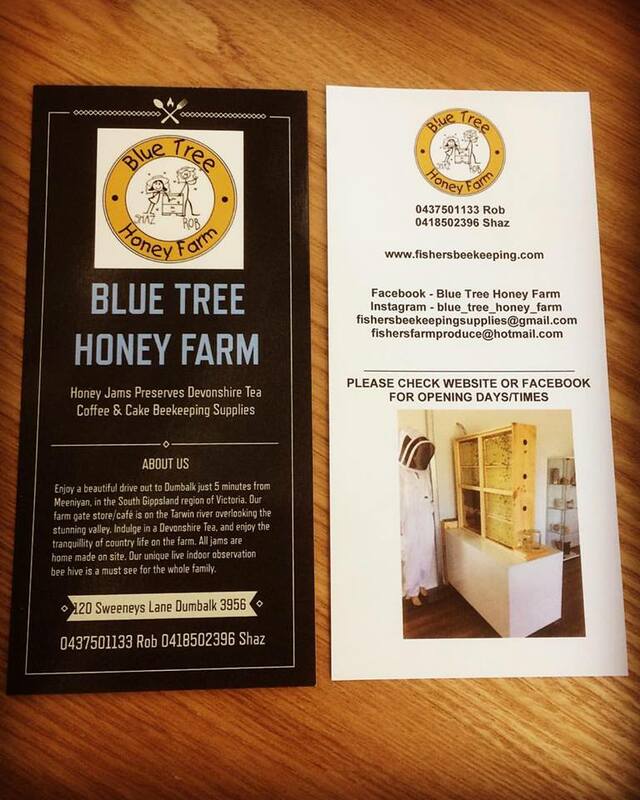 Blue Tree Honey Farm is situated on the hills overlooking the Tarwin River at Dumbalk, in the South Gippsland region of Victoria. Our produce is grown as Organically as possible, (Not certified) with no chemicals or pesticides used on the garden. All Jams, Jellies, Preserves and Sauces are made with produce grown on our farm or sourced from other local farms. All products are Gluten, Color & Preservative FREE. Our delicious Honeys come from Bee hives located on our farm and in the local townships, taking full advantage of native flora in our area. We also source honeys from the region allowing a greater range of flavours, including Red Gum, Yellow Box, Orange Blossom, and Blackberry to name a few. Look in our honey page to see what honeys we currently have in stock. Local, seasonal and Small batch food not only provides a healthier, tastier product, but also helps to reduce Food Miles lowering our carbon footprint. Please visit us for farm gate sales or see us at select local markets. Some of our seasonal products can be sourced from local specialist shops selling local quality produce. Our Beekeeping Supplies can also be purchased from the farm, please contact us for a suitable time to visit.